Digitel definitely understand that modern boardrooms need high-tech audio visual equipment capable of allowing everyone within the boardroom contribute to discussions and receive opinion of others. With this in mind we have and continue to install our equipment in boardrooms of many companies, organisations and businesses. Contact us today for a security system quote or click to download your free brochure. With many Irish businesses conducting business in other countries, globalisation is here to stay and you may need to have meetings in your boardroom with some meeting participants not physically present. Like with other companies, businesses or organisations, you may need to cut down on travelling costs with the aim of enhancing your productivity. This is why we do not restrict our service to installing audio visual equipment of local use. Our technology takes into account your boardroom architecture and furniture with the aim of installing a system that integrates seamlessly with everything in your boardroom. Regardless of the size of your business, company or organisation boardroom, we at Digitel have the necessary knowledge, experience, and expertise and are in a perfect position to transform your boardroom into the most appropriate location for holding your meetings. This we do by making use of latest state-of-the-art audio visual equipment. Whether it is background music, foreground music, projector screens, TV systems, blinds lighting, conferencing or digital signage among other boardroom equipment. 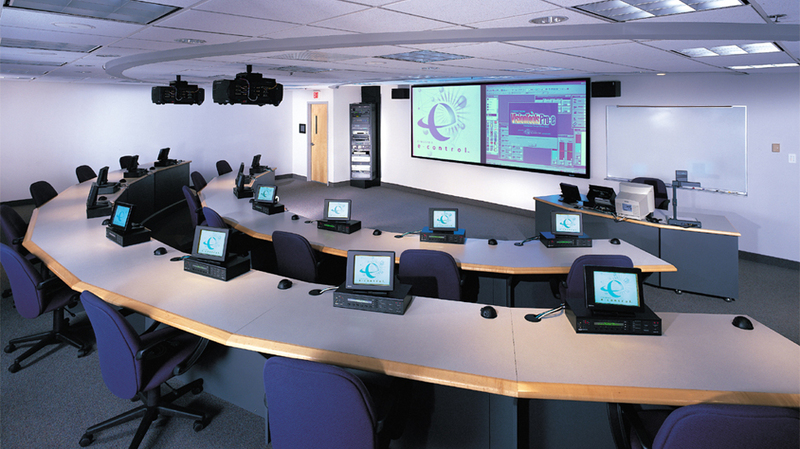 Looking For Boardroom Audio Visual Installers?